More than translation … it's about communication. Good translators do far more than merely translate. 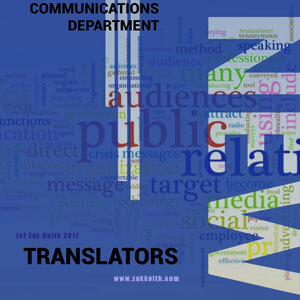 They serve as an extension of communications departments, essentially functioning more as copywriters than translators. They are adept at rendering the same text any number of ways, depending on the audience, channel and purpose. For a message to be appealing and get across correctly, the target language must, as a rule, be in the translator’s native tongue. However, there are no shortcuts – good writing skills can take a lifetime to hone in. As an experienced writer and state-authorized translator*, I am fully qualified to convert legal and financial Swedish texts into American or British English, and to write for a range of industries, such as medical and pharmaceutical, telecommunications and high-tech, aerospace, automotive, forestry, construction and hospitality. In addition to my editing and proofing services, my translations and copywriting are regularly published by mid- and large-cap companies listed on the Nasdaq OMX. *Authorized by Kammarkollegiet, the Swedish Legal, Financial and Administrative Services Agency. Regular, certified or notarized translation? Is the translation to be used for official purposes? Depending on the requirements of the authority/agency requesting the translation, it may need to be certified and/or notarized. Only an Authorized Translator may certify a translation. Certified translations are physically bound together with the original document and equal in legal validity to the original document. Some authorities/agencies may require your documents to be authenticated before and/or after translation (in most cases, after translation). An apostille is a post-translation notarization procedure that may only be performed by a Notary Public and the Authorized Translator may sometimes be required to certify the translation in his/her presence. Translations are normally charged per word. Layout and proofreading are charged in 30-minute blocks. There are also surcharges for stamp duties, rush jobs, etc. Is the assignment for a private individual or a company? * An apostille renders a document exempt from all other points of authentication (at foreign embassies, for example) in signatory countries of The Hague Convention of 1961. By law, apostilles may only be issued by a Notary Public and service charges may thus vary. ** Scanned documents may take twice as much time to be translated, as they may require twice as much manual typing and proofreading. ***Any documents comprising text boxes or tables (with or without any visible lines) or multiple columns will require more time to complete. Replicating the layout of a page will sometimes require more time than the translation itself. Documents issued by the Swedish Tax Agency typically comprise multiple boxes with different font sizes, which are time consuming to replicate. If you are on a tight budget, type the Swedish text into a Word file and replicate the boxes, tables, columns and fonts, before sending it to me (along with a scan of the original) for translation. 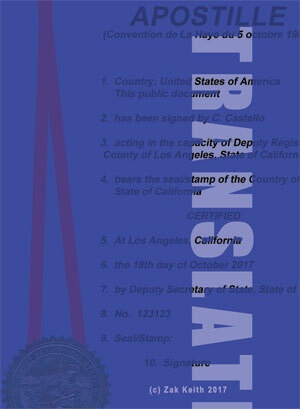 If an apostille is needed, in many cases, you can arrange to obtain this by yourself. As a state-authorized translator, I am sworn to secrecy and may not benefit from any nonpublic information in your documents or divulge any content to third parties, unless subpoenaed by authorities. 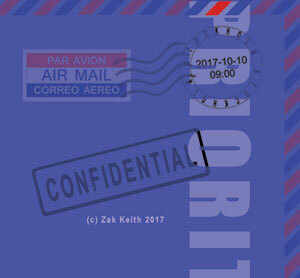 Translations will be sent by regular unencrypted email and/or postal services, unless otherwise agreed. Pursuant to the EU GDPR, I will not store any customer records or sensitive personal data, except for the duration of the assignment.